Event promotion is tricky business. Booking quality talent is not enough. You need a solid marketing campaign to connect with your audience and build loyalty. This is part one of a larger series on marketing channels for event promoters. Social media is great, it allows you to gather a new following through existing contacts. Yet, social media uses algorithms to limit the reach of your posts. Few realize they are not reaching all their contacts, only a certain percentage. Email marketing is the most effective way to reach thousands of potential customers. Email marketing, and the audience it allows is the best method to advance your expertise as a promoter. Let’s break down some of the most effective techniques. If you don’t already have one, you need to get on board with an email list service. Sending bulk emails from your Gmail or Outlook account is a surefire way to be blacklisted as spam. Automated spam free message delivery. Send automated reminder emails based on date criteria. Send automated sale receipts and instructional emails. Automate the process of adding new contacts. Automate the removal process through removal links. Allow personalized greetings for each person on the list. Organize contacts and remove duplicate information. One of the biggest benefits of an email service provider is performance tracking. These services track how many people open the emails. They also track how many people click on buy links. Advanced forms of email marketing allow segmentation of groups. A common technique is to segment your list by the types of events they attend. This allows you to make them aware of similar events. Another technique is to segment a list by location to allow geographic promotion. The essential email marketing applications are MailChimp, AWeber, and Infusionsoft. Other specialized options exist but to get started choose one of these. MailChimp: MailChimp has approximately 400 email templates. The program is easy to use and most actions are drag and drop. MailChimp is well known for their free version for a list of 2000 people. AWeber: AWeber has approximately 700 email templates for your campaign design. They are MailChimp’s main competitor and it comes down to user preference. AWeber offers a free 30-day trial, then a similar pricing structure as MailChimp. InfusionSoft: Infusionsoft is a more advanced provider that behaves like a CRM. It’s an effective software that focuses on segmentation. Infusionsoft is by far the most expensive provider and is considered advanced. This is huge – 53% of emails are opened on mobile devices. Don’t cut off half your readership with an email that can’t be read on a phone. Most people check their email when they are at a coffee shop, using public transportation, waiting in line, or rolling out of bed. Opens on mobile devices have increased 40% in the last three years [via Litmus]. If an email doesn’t look good on phone, most won’t read it. 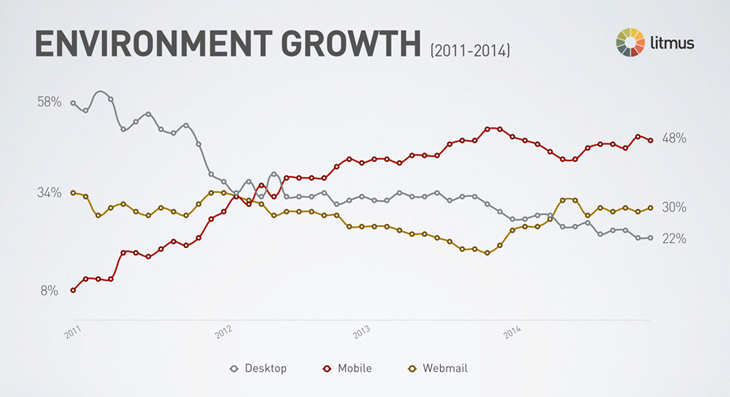 Every email you send should be mobile friendly, and every email should be responsive. There is no wiggle room on this. Most email service providers make mobile friendly design easy. Regardless, testing each email on your mobile device before sending is a must. Test that images are clear and the details are readable. Test that buttons are large enough to accommodate the thumb. As a promoter, you should already have great photos. If you don’t, get some. Make sure to use them to your advantage. Include a Call To Action which is a method to buy tickets such as your event page. Compress your images. 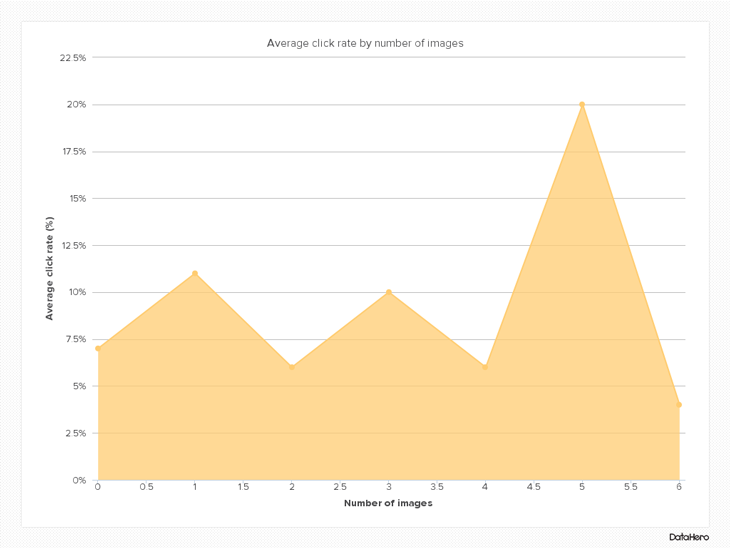 Images that are too large are more likely to be filtered out as spam. Make them smaller if possible, or use photo editing software to compress them. Use the alternative text feature for photos. Many users will block images by default, this saves large gaps from appearing in your email if they do. Vary your image types. Use a nice combination of graphs, headshots, and location photos to keep things interesting. Bombarding your readers with self-promotion is a mistake. Your message needs to contain content that is valuable, not only adverts. In your email campaigns include interesting articles, pictures and interviews with speakers or performers. People want to feel like you are talking to them. Write your emails in a conversational, but professional, style. Use the automated features of your online email service to greet each subscriber by their first name. You should be tailoring your subject lines to fit on mobile devices, which means 4–7 words at most, unless you can’t avoid going longer. Subject lines need to be straight to the point and offer the reader something. Value such as interesting news, cool content, an exciting development, free products, etc. Emails with “you” in the title are opened 5% less. Emails with “free” in the title are opened 10% more. Subject lines with “quick” are opened 17% less. Use the word “now” in your subject lines. Titles with a sense of urgency are opened 22% more. Some event promoters capture emails as a part of the registration process. Consider yourself blessed as it isn’t this easy for other events. Nightclub and performance promoters must be far more creative. You must offer something of value for people to give up their precious email. A great technique to capture emails is what I call audience hijacking. Offer chances to win VIP access or a DJ experience. Anything of value works. Others have success working with suppliers to offer giveaways. Then choose a fun but effective method to pick the winner. Email your list ahead of the event. Announce that the funniest tweet or the coolest Facebook post including your @YourClubHere will win the prize. Announcements of the winner will be made in 24 hours. This is an effective method of providing value to your current email list. It also automates your social media strategy enabling you to reach others without any effort of your own. These tips should help you launch an effective email marketing campaign. Once you have a strong audience in place, email marketing will help to maintain that relationship. Your audience will stay for the value you provide. They will be when you want to promote a big event. It’s a win for both.